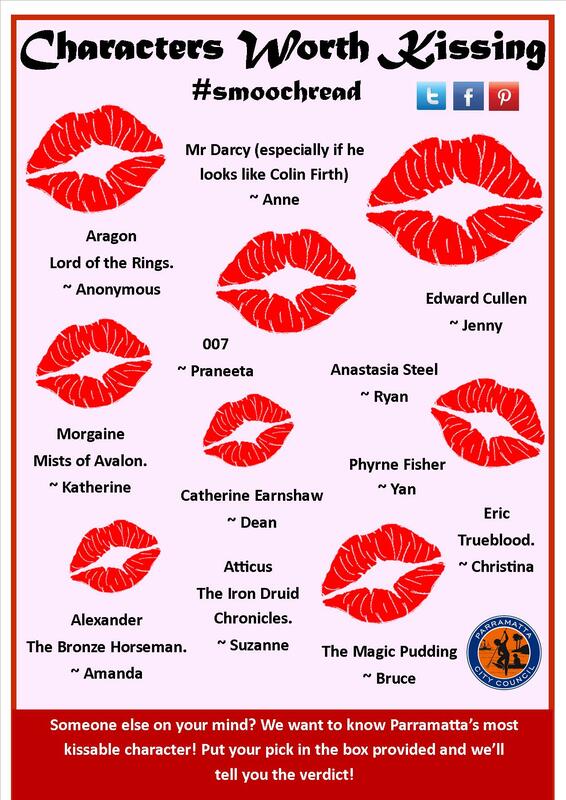 To celebrate Library Lovers Day on the 14th February, Parramatta City Library is looking for the most kissable book character! Does Mr Darcy take your fancy? Or is Anastasia Steele more your style? Maybe you’re a fan of an otherworldly lover like Eric from True Blood? Maybe you’re a true romantic and adore Heathcliff. Drop into the library to vote for your favourite, or visit us on Twitter, Facebook, or Pinterest. Most Kissable character announced 3rd March! Click on the link to have your vote. This entry was posted in All and tagged Library Lovers' Day, smooch Read by admin. Bookmark the permalink.